show that's great for all ages and events. Hypnotist Corrie J puts on a hypnosis show that has everything you need for Winnipeg corporate events, school and aftergrad, birthday parties, Christmas parties and more! Winnipeg event planning has never been simpler! 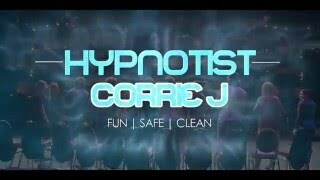 Hypnotist Corrie J puts on the all ages show you need. Light up the Winnipeg night with a party package with Hypnotist Corrie J. He can design the perfect evening for you, from lights, to entertainment, to fun extras to keep your guests entertained, whether you have a Winnipeg corporate event, graduation, school event, or are throwing a Winnipeg Christmas and New Years bash! 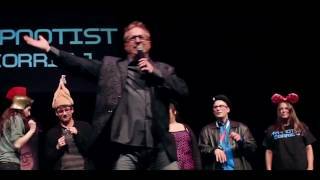 With several options available from single performances to full event packages, Hypnotist Corrie J and his talented team can put together a Winnipeg party that works for the audience, the event and the budget.